Top Shelf Jazz kicks off Dr Sketchy’s Melbourne 2009 Season! 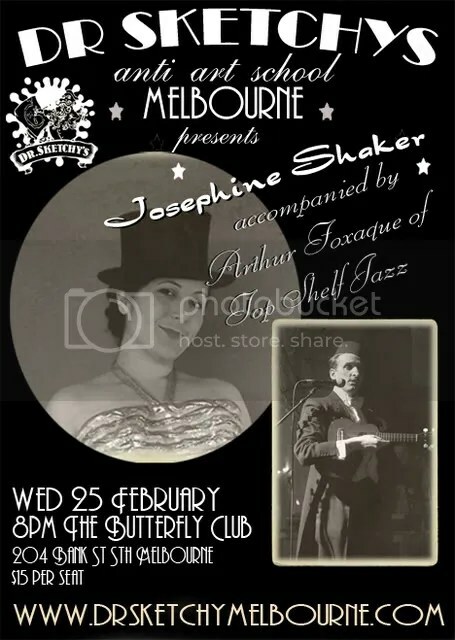 Fine Purveyors of Filthy Swing, caustic crooner of Top Shelf Jazz, ARTHUR FOXAQUE and his fine fine lady JOSEPHINE SHAKER! From Vancouver, Lydia De Carllo this March! !